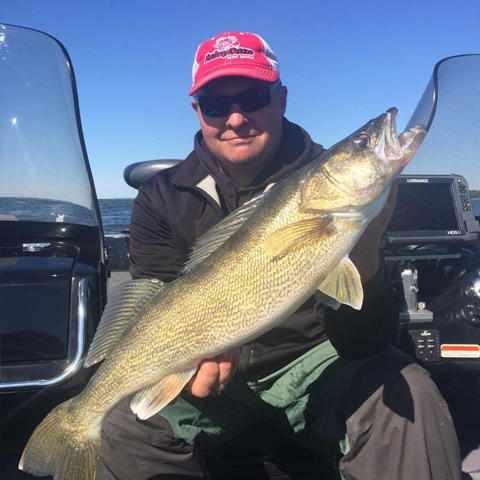 Gary Parsons, of Glidden, WI, is a professional walleye fisherman, specializing in tournament fishing and walleye fishing promotions. 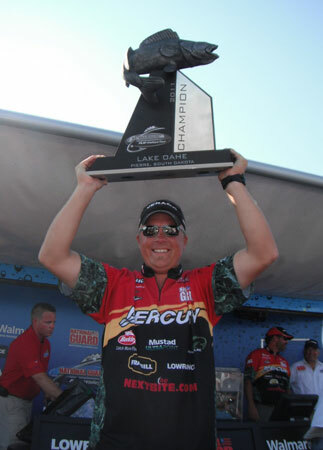 Gary is a “Legendary Angler” inductee into the National Fresh Water Fishing Hall of Fame and one of the co-hosts of the popular The Next Bite TV show (now in its 12th season on air), airing on NBC Sports Network, WFN and Destination America networks. 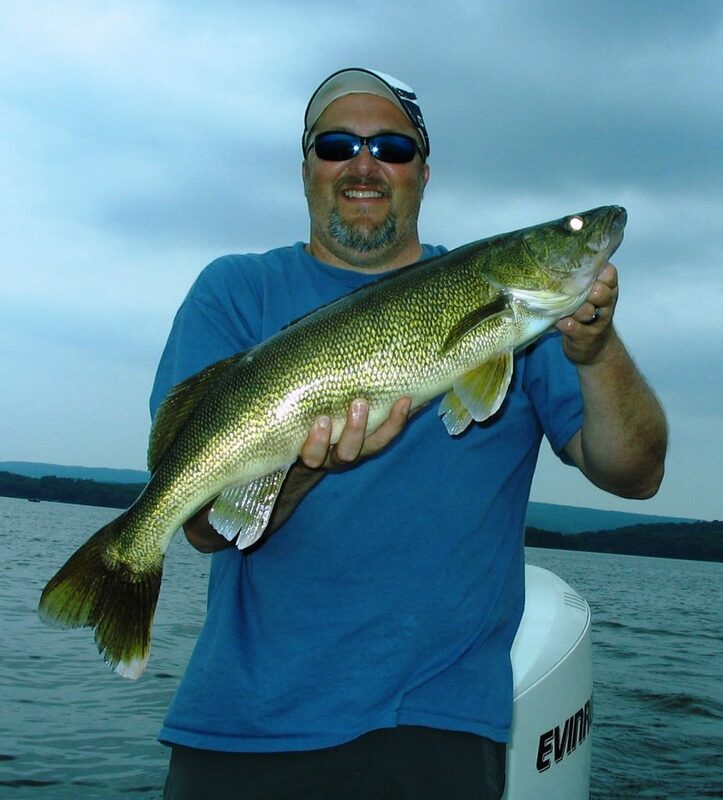 Keith Kavajecz, of Kaukauna WI, is a professional walleye fisherman, specializing in tournament fishing and walleye fishing promotions. 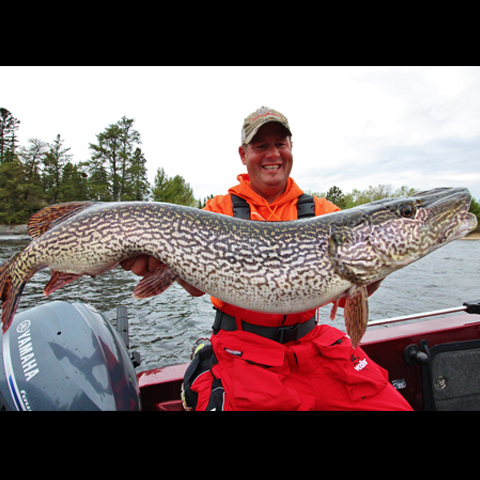 Keith is a “Legendary Angler” inductee into the National Fresh Water Fishing Hall of Fame and one of the co-hosts of the popular The Next Bite TV show (now in its 12th season on air), airing on NBC Sports Network, WFN and Destination America networks. 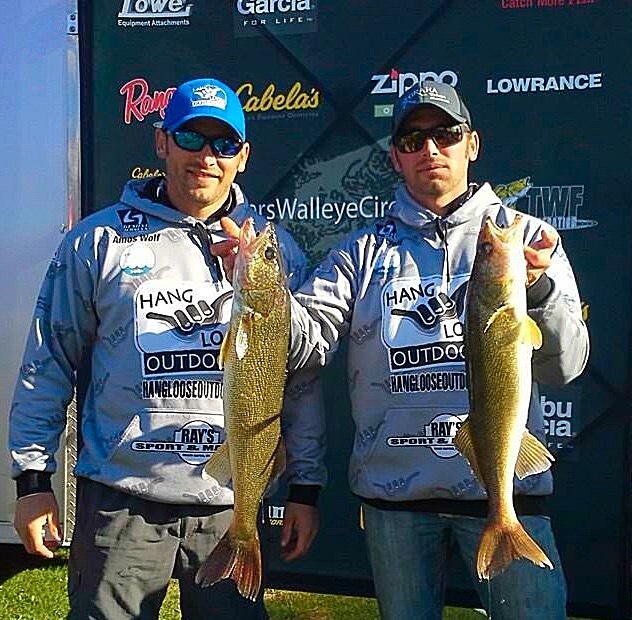 As a professional walleye tournament angler, Chase Parsons has made an impressive imprint on the fishing industry throughout his career. 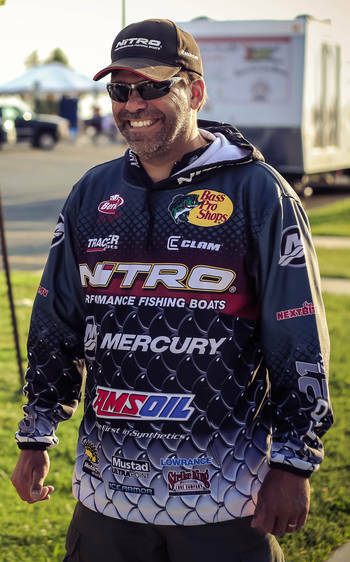 Throughout his 11 year career, Chase has been involved with many national television and commercial spots for several powerful fishing companies. He works extensively with sponsors in many aspects of the fishing industry, including product development and seminar/video promotions. Chase is a frequent host of “The Next Bite” television show, which airs on NBC Sports Network, Destination America and WFN. 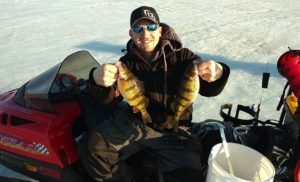 Chris Granrud and his wife Kelly are the owners of the widely popular Rainydaze Guide Service in International Falls, Mn. 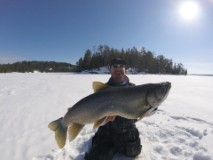 Their five-man Guide team services both Rainy lake and the mighty Rainy River. 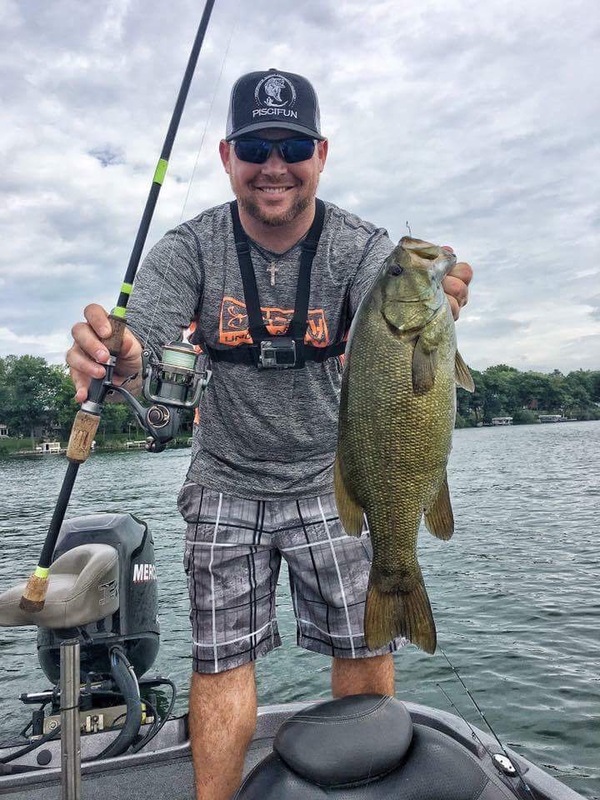 When Chris is not guiding with customers, he can be both seen and heard giving seminars across the Midwest; publishing outdoor articles; appearing on television episodes; working sports shows; or communicating with other anglers on his various social media platforms. Chris is a tireless ambassador for the sport of fishing and has been a full-time fishing guide and fishing personality for the last 10 years. Follow Chris and his team of fishing guides on their facebook page at Rainydaze Guide Service. My husband Chris and I own and operate Rainydaze Guide Service. I grew up in International Falls and have always loved both hunting and fishing. My family has had a cabin down on Pelican Lake ever since I was a kid. My brother and I used to catch fish off the dock all day long and my dad would clean them for us. I thoroughly enjoy spending time on the lakes and rivers as well as getting together with all of our awesome Captains and customers. I work in the promotional end of the fishing industry and was lucky enough to earn a cover shot of In Fisherman Magazine. I guess it’s my claim to fame:) I also help both Clam Outdoors and Vexilar Inc. with promotional material and modeling when asked to do so. I work full time at Boise cascade here in International Falls. I used to live on the Rainy River before we built our home here on Rainy lake. I have a lot of time fishing both of these magnificent bodies of water. 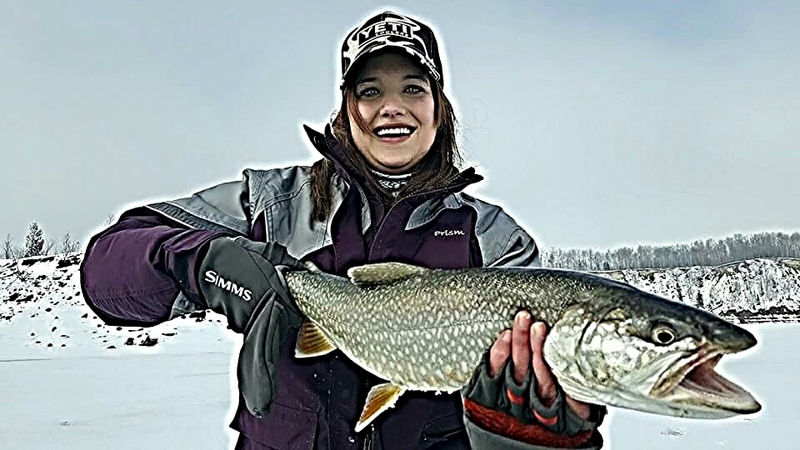 I am a fishing guide with Rainydaze Guide Service. When I’m not fishing with customers I can be found out on the lake or river with my beautiful wife Jen, and yes she often out fishes me:) Jen’s family has a beautiful cabin on and island here on Rainy Lake as well, so we literally spend the entire summer enjoying life on the lake. Being on the water is something that just becomes a part of you. I thoroughly enjoy helping our customers learn more about the sport of fishing and more specifically our fisheries here in borderland. I hope to someday retire from Boise paper mill and guide full-time. Spending a day on the water means never working another day again. I work full time at Boise in International Falls MN. I have a beautiful wife of 16+ yrs and three kids. I grew up on lake Kabetogama where I spent my child hood chasing walleyes and working at a resort. 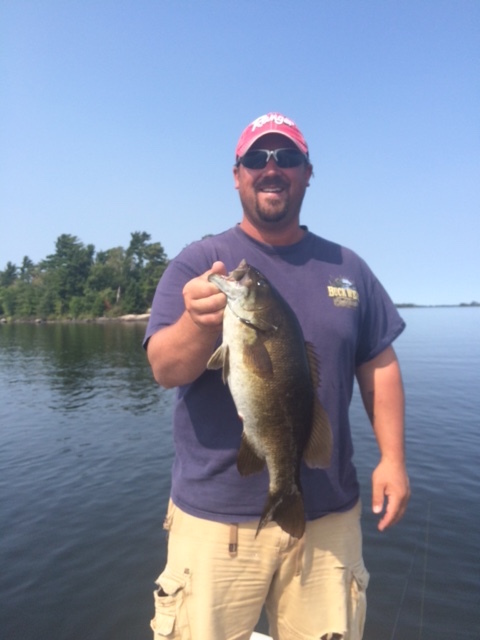 It wasn’t until a few years ago that I switched to my love of small mouth fishing and fishing Rainy Lake. Aside from working full time and guiding on rainy lake I spend the remainder raising three kids who are growing up loving the outdoors as much as me. They love hunting and fishing and have helped me enjoy passing the torch, and getting to spend countless hours on our Beautiful Rainy Lake. 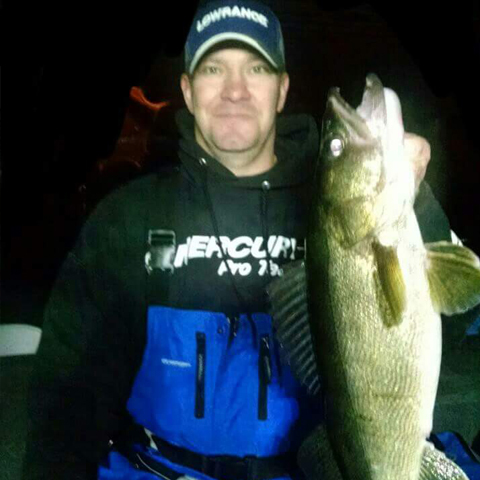 I’m a fishing guide for Hang Loose Outdoors Guide Service out of Grand Rapids, Minnesota. I grew up in the heart of Northern Minnesota fishing with my biggest inspiration, my father, every chance I had. Today, my love for the sport continues to fuel my competitive nature, and I am always found working to better my skills as an angler. 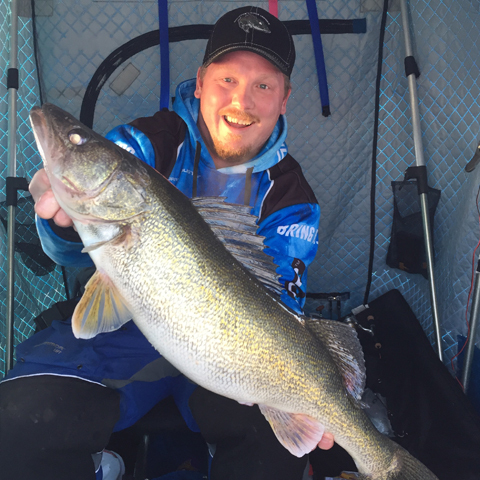 In recent years, becoming a walleye tournament fisherman I have learned the importance of keeping an open mind to the ever changing conditions. I believe these tournaments keep me sharp and keep my love for the sport strong. Today I pride myself on doing my part to ensure the success of other anglers as well as passing down my knowledge to the younger generations who play such a vital role in this industry. Owns and operates Houston’s Guide Service. 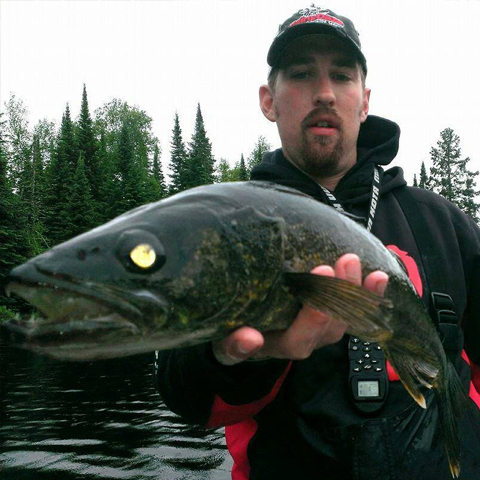 Jarrid is a professional fishing guide, promoter, and educator for the sport of fishing. 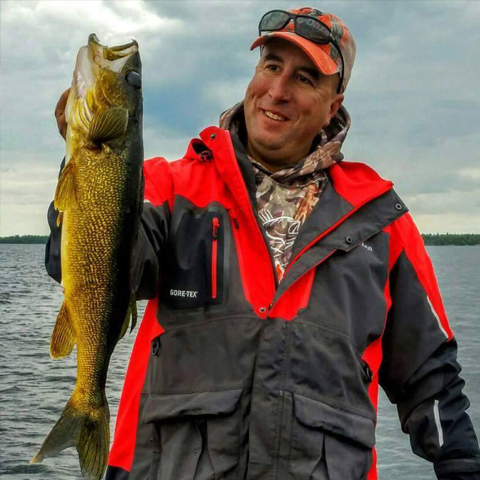 Jarrid specializes in fishing the prestigious waters of Lake Superior and the St Louis River, as well as other areas of the Duluth/Superior and NW Wisconsin areas. 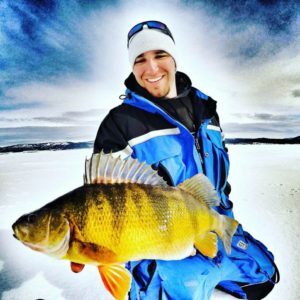 Jarrid also hosts a number of seminars at sports shows and writes field reports for a number of media outlets including Visit Duluth, Outdoors Wisconsin Fun and Explore Minnesota. Born in Grand Rapids, MN I spent most of my time fishing Lake Winnibigoshish and spending time at the family cabin. At the age of 12 my dad got me a little boat with a 25hp and I would take friends out on the big opener. Growing up playing sports it took a lot of time away from fishing and after college I missed the competition. Dad and I entered our first tournament in 2009. Fished a few that year and needless to say I was hooked! At heart I am a rig and jig fisherman but with fishing many different lakes I spend a lot of time trolling leadcore, pulling bottom bouncers and inline weights. 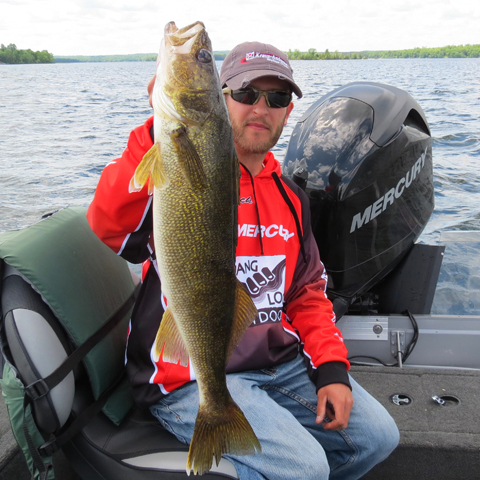 Tournaments I fish are the Minnesota Tournament Trail, Leech Lake Classic, GRAHA Walleye Shoutout and AIM. Dad and I have many top 5 and 10 finishes over the years and have claimed father/son team of the year 3 of the last 4 years in the MTT circuit. Along with father/son title we have finished in the top 5 team of the year race the last 4 seasons. Beyond tournament fishing I truly believe in giving back to the sport by donating guide trips to events and taking people out and showing them a great time. FISH ON! 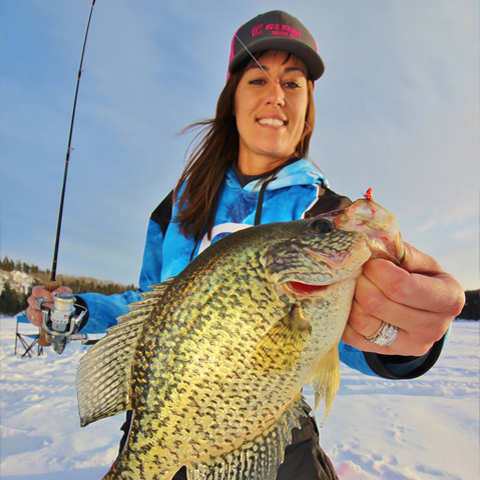 Passionate weekend angler most often found chasing walleyes and crappies in the Longville area during the summer months and throughout the state during the MN winters. Greatest joy is teaching adults and youth about new techniques and tools to help them become more successful during their precious time on the water. Since I got my first taste of guiding at the ripe age of 13 I have been hooked on helping people catch more fish! I’m currently chasing the dream on Rainy Lake and the Rainy River with RainyDaze Guide Service as well as limited trips on what I call “home” pool 4 of the Mississippi. When I’m not chasing white tips I’m chasing whitetails! I was born and raised in Int’l Falls fishing Rainy Lake and Rainy River. When not fishing, I work as a full-time fire fighter pulling 24 hour shifts in Bemidji MN. When not on the water or the fire station I can be found in the woods hunting or shooting my bow or long range precision rifle at the range. I enjoy teaching anglers new techniques and their understanding of why the fish are where they are. My parents had me in a boat since I was 6 months old and I hope to be in one till the day they put me in the ground. Everyone has a bad habit or two or ten. I have several. The worst of my so called bad habits has something to do with tossing the to-do list in the garbage and heading out fishing. I’m addicted to fishing and it’s taken over my life! I grew up in Northern Minnesota. My father hooked me on the outdoors at a very young age and that’s all it took. Today, I spend every second of free time on the water sharing my passion of fishing with others. I am a part time fishing guide in the Grand Rapids, MN area. As co-founder and operator of Hang Loose Outdoors, I believe we have the best group of young guides that make every outing a fun and exciting one. When not guiding, I enjoy tournament fishing. Nothing increases a fisherman’s knowledge and skills like tournament fishing. It’s crazy what you learn and what you’ll keep secret for one extra bite! When the competition is not around, there’s not much I will hide. I enjoy educating the public on anything outdoors. I will tell you what works and what products help me be successful. Educating, promoting, and creating smiles in the boat makes up for all the early mornings, sleepless nights, and finding the to-do list back on the counter every time. Yes, I have an awesome and understanding wife too. I have been fishing as far back as I can remember,grew up chasing crappies all over Minnesota with my dad. 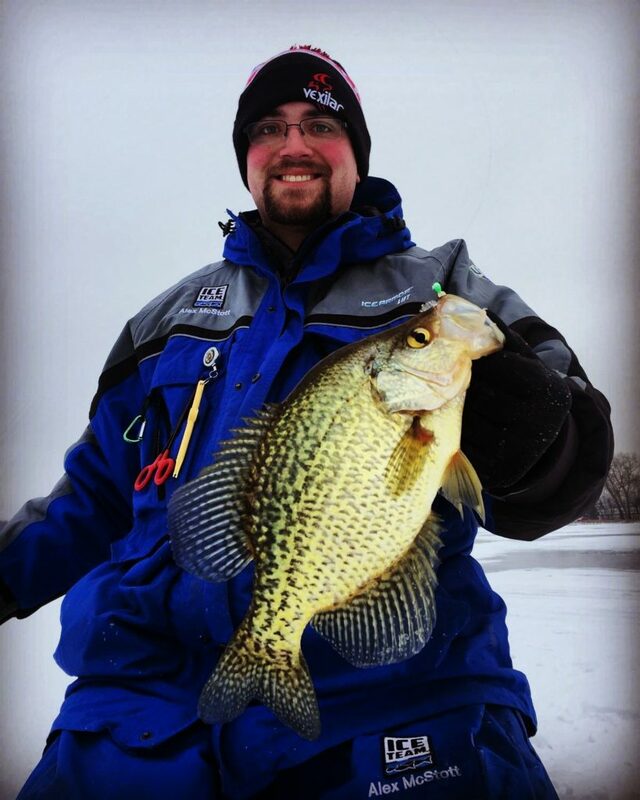 Since my late teens Walleyes have been my fish of choice,but still enjoy catching slab crappies. If I’m not selling boats you will find me in the boat or on the ice. Getting Veterans out fishing has also been a big passion of mine and hope to do much more in the future with as many Veterans as possible. Hey everybody! My name is Jaryd Guericke, and I’m apart of the JT Outdoors Staff. I’m also a fishing Guide here in South Dakota. When I’m not guiding, I’m fishing with friends, writing articles over fishing, and doing alot of scouting for clients. I fish all over the state, but I primarily fish the Missouri River system, and the Glaciel Lakes region in Noth East South Dakota. My passion is my driving force. Whether it’s one hundred degrees out, or negative fifty, one thing remains constant. That is my ever enduring love to fish. Seeing others catch fish far out weighs personal success and that is what attracted me the most when I had the opportunity to join this staff. I just want to see others catch fish, and I believe this product will do just that, and then some! Whether it’s breaking through four foot swells on the roaring Missouri River, or casting raps next to flooded farm equipment in North East SD, I’ll always have a rod in my hand, and a passion driving me towards that next hook set. Born and raised in Minnesota, I was hooked on the outdoors as a young boy hunting and fishing with my dad and grandpa. I have continued to pursue this passion everywhere life has taken me, from the legendary largemouth bass waters of Georgia and Texas to the pristine trout lakes and rivers of Colorado and Wyoming. My wife, three teenage daughters, and I now live in Eagan, MN where I own a plumbing business. When I’m not turning wrenches or chasing leaks, it is my greatest joy to pass this love for all things fishy, furry, and feathered on to my daughters and anyone else that will listen. I am a fishing guide and co-founder of Hang Loose Outdoors. I grew up on Pokegama Lake in Grand Rapids Minnesota. My whole life I dreamed of being a fishing guide and chasing trophies at every tournament available. The path I chose in life delayed this process a bit but here I am living my dream. I knew before I could live my dream I needed to establish myself. After high school I went straight to work obtaining my Associates degree in forestry. After I achieved my AAS degree, I wanted to see the world so I joined the Army. The Army taught me many things about life and helped me pay for my next college degree. The next few years I worked on earning my Bachelors in Natural Resource Management and with a few active duty hiccups from Uncle Sam, I achieved. The moment I knew I was never going to stop until I was living my dream came during my tour in Iraq. A lot of feelings are absent while you are on tour but your dreams become stronger. When I returned home, I finished my degree and began fishing with a vengeance. I’ve come a long way since I put my foot down and said this is who I want to be. I’ve been lucky enough to share the stage with some of the best anglers in Minnesota achieving many top 10 tournament finishes and putting many smiles on happy guide clients faces. I am very excited to be on this journey with the JT crew and continue to live this dream. We are fishing guides out of the Grand Rapids area that have a passion for fishing and passing on the love of fishing to our children. Ever since we could hold a rod in our hands we’ve been running around looking for water to fish whether it was a lake, stream, river or a pond if it held fish we were going to fish it. Our competitive nature drives us to become better anglers continually learning and adapting to changing conditions while fishing with the persistent attitude of if there are fish out there we will find and catch them. When not guiding or spending time with our supportive wives and families we have an addiction to competing in Walleye tournaments together. Not only to strive to be two of the top anglers for that day but it forces us to adapt and to reach out of our comfort zones which continuously expands and improving our fishing knowledge making us better anglers. 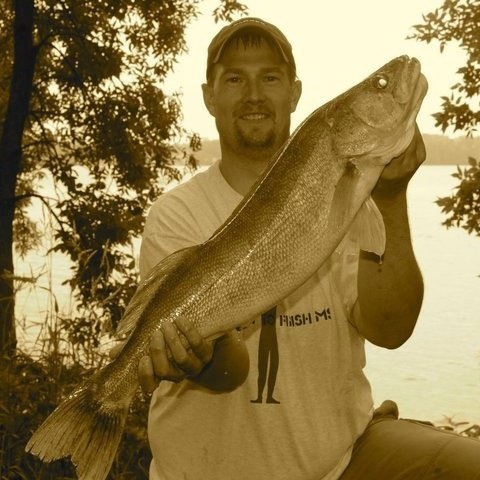 I have been chasing walleyes for as long as I can remember. Having grown up on the Winnebago system in Wisconsin, it was really hard to not become a walleye addict. As my fishing life progressed, I realized that I got just as much enjoyment from helping people catch fish as I got from catching them myself. I knew that at some point, being a fishing guide was in the cards. 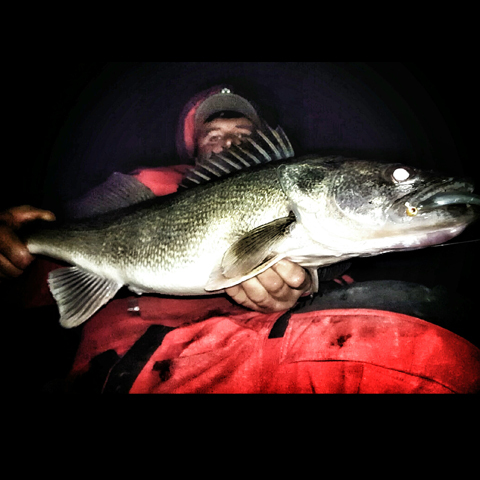 I am currently the owner of EyeChaser Guide Service, and focus solely on the pursuit of walleye and sauger. 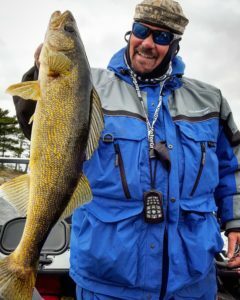 I love the thunk of a walleye smacking a jig and seeing the joy clients get from new personal best fish. No matter the weather, if I can find open water with walleyes in it, I’m trying to find a way to get the boat in there. When I’m not helping people discover the joys of walleye fishing, I enjoy chasing salmon and trout on Lake Michigan. 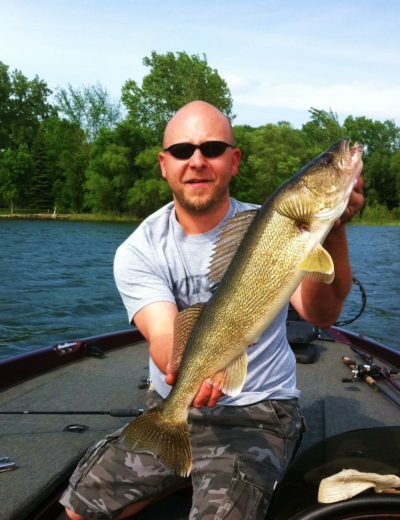 Justin is a full-time Hunting and Fishing Guide out of Grand Rapids, MN. Where my wife, Alice, and I own and operate Wheezy Outdoors. Since I was very young, I knew I wanted to be involved in the outdoors. I have always had a boundless love for the woods and waters, especially those of Northern Minnesota. After many adventures, over the course of many years, in 2013 my wife and I decided to make our travels permanent and located to Grand Rapids where we now call home. I am still always in search of new waters to fish, and new land to discover. And the passion I have for the outdoors pushes me further into its depths. It did not take long for this passion to become something that I wanted to share, I wanted to help others enjoy this as much as I do, which is why I decided to become a Guide. Never give up on your dreams! Alice was born and raised in Alaska. I now call Northern Minnesota home. My love for fishing was imbedded in me at a young age, by my father. A man that I owe a majority of my fondest of memories to. From catching Sunnies off my Grandpa’s dock, to the seemingly unending hours spent by a child in a fish-house on the frozen Mille Lacs Lake. Not only did he instill the love of fishing in me, but my love for hunting as well. Teaching me all the fundamentals needed to successfully target and harvest any bird or game. It wasn’t until I met my best friend, my husband Justin, who amplified my love for the outdoors. Taking me to places of this great state I had never seen. From various lakes in Itasca County, where at times it seems hard to even keep the line in the water due to the “hungry” fish. 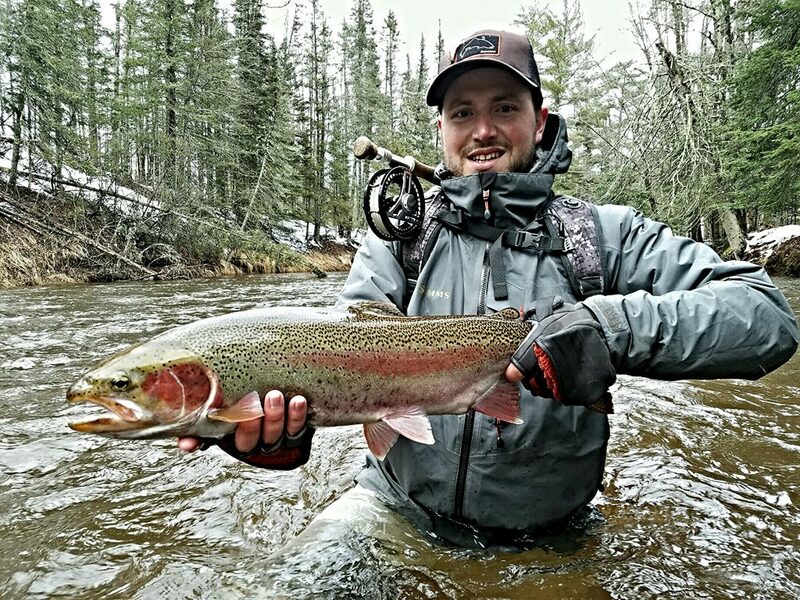 To the rivers and tributaries of Lake Superior, on the search to catch mighty Steelhead on the fly. Even to the flawless scenery paddling the waters of the Boundary Waters Canoe Area. Through our adventures and endeavors, Justin and I found that we shared the same common goal, other than our love for hunting and fishing. We wanted to bring this same passion, experiences, adventures and that love to others. Which is why we started, our own fishing and hunting guide service, Wheezy Outdoors. What once started as a “pipe-dream” or a “hobby” as some would call it, has now became a reality… and our adventures still continue. I am from Saint Augusta, MN and my passion for fishing started at a young age fishing for bluegills with a cane pole off my great grandmother’s dock. I pursue walleyes and largemouth bass during the open water season, but my heart and soul will always be on the ice. 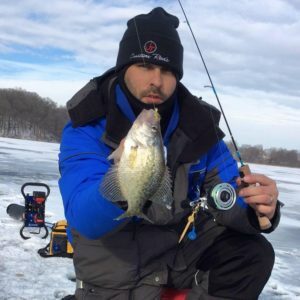 I love to chase big panfish during the ice season, whether it’s during the Ultimate Panfish League tournaments or if I’m just out trying new lakes. 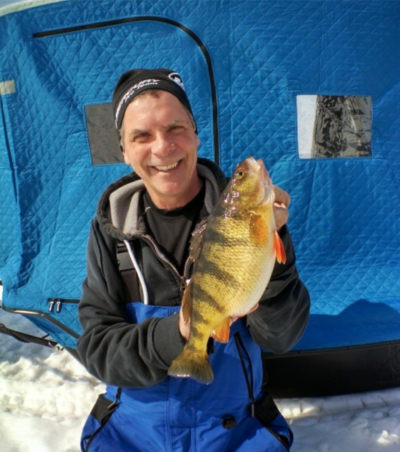 I enjoy sharing my passion with others while working ice fishing shows for Clam Outdoors. When I’m not fishing I can be found in the hardwoods of central MN hunting whitetails. I grew up fishing every weekend, and that passion has only grown stronger. As a young child, I remember taking my naps on the boat just so dad and I could fish all day. I grew up fishing the Winnebago system for anything that bit. Now, I choose to chase big water walleyes mostly on Green Bay or Lake Erie. Depending on the season, many other species from salmon to perch keep me chasing the next big bite. I now call Milwaukee, WI home but will always enjoy fishing anywhere with great friends making more memories. I grew up in Wisconsin, fishing all my life. Everything was right with the world when I had a fishing rod in my hand. This passion quickly lead to an obsession and I now fish every change I get, both hard-water and soft-water. I have been competing in bass tournaments since 2010 and I am currently fishing the FLW Bass Fishing League Great Lakes Division. When I am not spending time on my obsession, I work for JX Enterprises – Peterbilt in Human Resources. In addition, I am an Army/Iraq War Veteran and I enjoy helping Veterans and children enjoy the outdoors when at all possible. 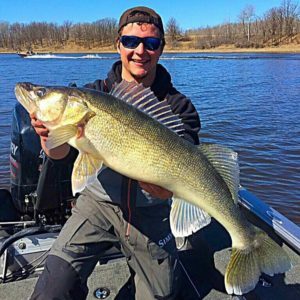 Jake grew up in Western South Dakota and has had a passion for fishing from the early age of three. 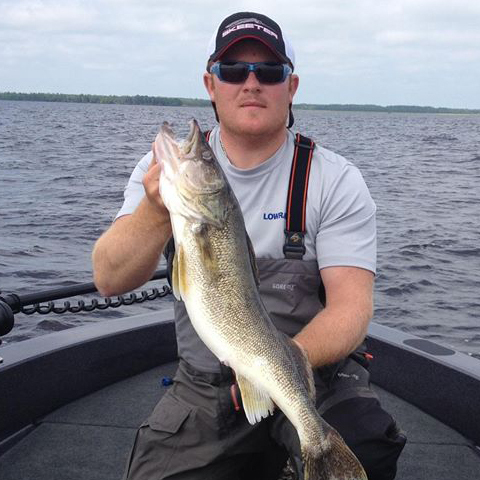 Jake is an experienced multi-species tournament angler and competes in Walleye circuits across the Midwest. Throughout his travels of the Midwest he has been privileged to broaden his knowledge and understanding of various types of Walleye water, from fishing the Glacial Lakes in NE South Dakota, to fishing Prairie Lakes across Wyoming, South Dakota, Nebraska, Kansas and now fishing for mountain walleye in Utah. Jake is an avid supporter of conservation and passing on his love for the fishing industry to younger generations. Being a Michigan boy all of my life, I feel fortunate to have grown up in such a beautiful state surrounded by a fishery like The Great Lakes. Originally I am from southeast Michigan and cut my teeth in the fishing world by spending time on many inland lakes and playing on the big waters of Saginaw Bay. My friends and I travel all over this great state documenting and filming our outdoor adventures. I feel it is my duty to promote and pass along this deep-rooted passion I have for fishing and hunting to future generations. I am super stoked to be on the JT Outdoor pro staff and look forward to learning from other fellow outdoor enthusiasts. My career has taken me north to Traverse City, Michigan where I currently live with my beautiful wife and two daughters. I’m from north eastern Iowa where my passion for the sport of fishing started at a very young age due to my grandpa. 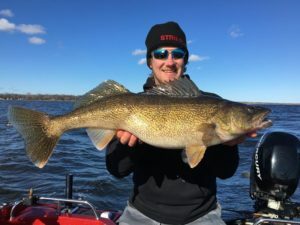 The winters were spent on a bucket sitting in the freezing cold with no flasher or fancy equipment, while the remainder of the year was spent on the Mississippi river trolling for walleyes. That passion that I possessed back then has turned into what I would definitely classify as an addiction. I mostly target panfish and walleyes across Iowa. Always up for a good road trip to meet fellow anglers and explore new bodies of water! Erick Anderson was born and raised in Gilbert, right in the heart of the Arrowhead in Northern Minnesota. He currently resides in Embarrass, just a few miles away from his hometown. His passion for the outdoors started at a very young age, as fishing, hunting and trapping was a way of life for his family. His parents David and Maryann instilled their love of the outdoors into Erick. Erick currently works for US Steel and loves educating anglers in his free time. Vermilion, the NW Angle and Kabetogama are his favorite lakes. He can best be described as a “fishaholic” who is either fishing or making plans to fish. I was lucky enough to have the opportunity to become part of Hang Loose Outdoors, in Grand Rapids MN, about two years ago. Since then, I’ve taken the fishing to a more competitive level. I have competed in a few Cabela’s MWC events, a few AIM tournaments, and a few other smaller tournaments. Between the pre-fishing, camping, talking about fishing, and the actual tournament, it is my favorite time of the year. I have also started guiding under HLO and I’m having a lot of fun relaying knowledge and good times with people that don’t get on the water as much as I do, especially when I get the opportunity to take a kid fishing. I currently bought my first house in Cohasset but I’m hardly there because I’m usually fishing!